It is probably fair to assume that the name derives from St Odulph also Odolphus. 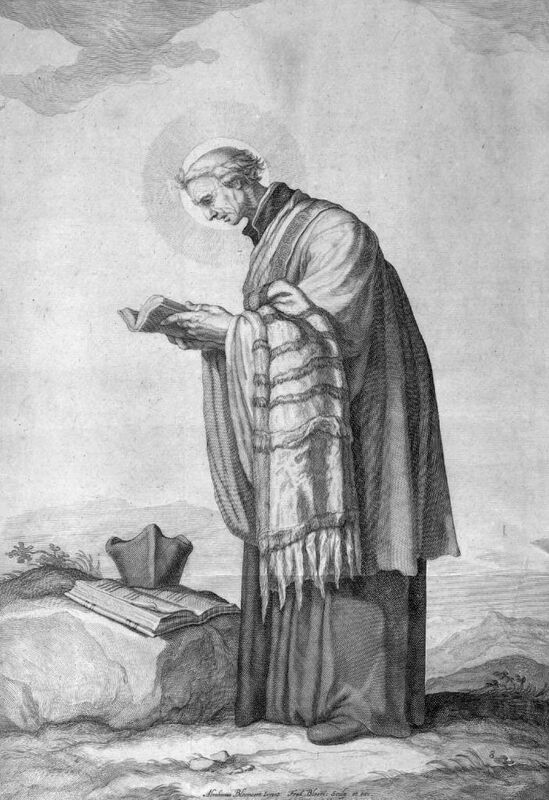 He was an Augustine canon born in Oirschot North Brabant and became a missionary and followed St Boniface in bringing Christianity to the Frisians. 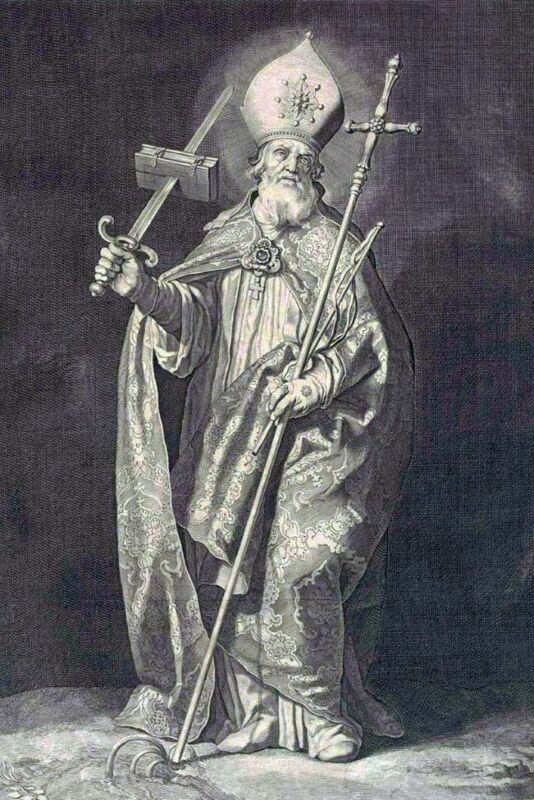 He died in 855AD and his saint’s day is June 2nd. In the early cloister lists in the towns of Tulda and Werdon on the Roer in Germany the Odolphie name first appears, In the Province of Groningen there is reputed to have lived an Odolphi of royal descent. In 1500AD 2 priests living in Leeuwarden called themselves Odolphi. Less than 100 years after the Anglo Saxons in Britain had been converted to Christianity St Boniface left his home in Crediton Devon to convert the pagan Friesians to Christianity. St Boniface was born in 675AD and became a priest when he was 30, after studying under St Aldhelm at Malmesbury. St Aldhelm has close connections with my home in Frome, Somerset. In 716AD Boniface accompanied by a few companions set out from Wessex to gain an audience with King Radbod of the Friesians where he was met with some hostility. When Radbod died in 719AD his son Aldgis the2nd converted to Christianity and Boniface continued his missionary work throughout Friesland and Germany .In 753 AD Boniface now 78 years old returned to Friesland from Germany and travelled through the area reaching Dokkum near Leewarden to confirm a number of Christians. On the morning of June 5th 754 AD a group of pagan Friesians attacked and killed Boniface and 50 followers. He is buried at the Cathedral he founded in Fulda Germany and is Germanys patron saint. St Odulph was born in Oorschot, North Brabant (Belgium). He was sent to evangelise Friesland. St Odulph, a monk and missionary in Friesland, was outstanding in his youth for intelligence and piety. He became a priest, and was sent by St. Frederick of Utrecht to minister to the partially converted Frisians. He made his base at Stavoren where he built both Church and Monastery. He worked for many years in the same area and retired to Utrecht in old age and died there on the 12th June 855. His body was enshrined, his cult grew, and a number of churches were dedicated to him in Holland and Belgium. It is alleged that his connection with England came by the theft of his relics in the early 11th Century by Viking pirates who brought them to London. Aelfward, Bishop of London bought them for the large sum of 100 marks and gave them to Evesham Abbey, over which he still ruled. There presence in the Abbey Church gave it lustre and prestige. But, later, a Norman Abbot of Evesham, Walter tried to remove them to Winchcombe. The Evesham Chronicler related that the shrine became so heavy for the bearers that they were quite unable to continue, but when they turned back to Evesham, it seemed light as a feather. This, like the blindness suffered by Queen Edith, who wished to take some of his relics for her private collection, was interpreted as meaning that Odulph disapproved of such removals and wanted to be left undisturbed in Evesham. The story in Friesland is the same as the Utrecht tradition that Odulph was buried at Utrecht itself without any translation to Stavoren, makes the Evesham claim very dubious. St Odulphs feast is celebrated on the 12th June with one translation feast on the 10th October and yet another on 24th November. In England there is only one church dedicated to St Odulph It is in the Cornish village of Pillaton and was dedicated on the 16th of October 1259 by Bishop Walter de Bronscombe, Bishop of Exeter from the Priory of St Germans. Clergymen generally used one Latin and one family name that were carried on through the centuries. In Friesland during the seventeenth and eighteenth centuries it also became popular amongst the more intellectual professions such as Lawyers Surgeons and Professors to latinize their Friesian names. 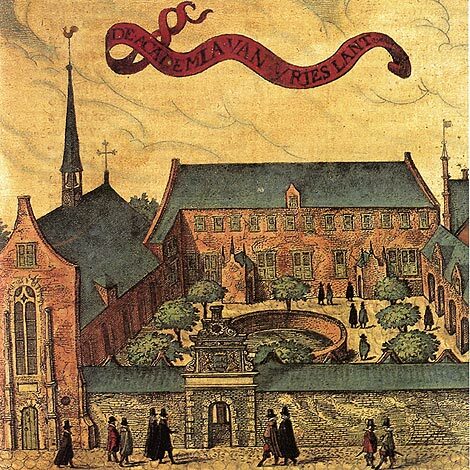 So named was one of the first proven early members of the present Odolphie family, one Ozias of Odolphus Petri was a teacher at the Latin school in Franeker and was born Oeds Pytters 28-10-1676 and Latinized his name in May 1734 aged 58. In 1811 when Napoleon decreed that everyone must have one family name officially registered there was 1 Oeds Odolphy with four children: 1 Wijbrand Odolphie with six children: 1 Pibo Odolphie with four children: In a census in 1947 there were eight Odolphy`s and four Odolphij`s registered in Holland.